You are currently browsing articles tagged Evangelical Synod. August 19: Kenneth A. Horner, Jr. The Rev. Mr. Kenneth A. Horner, Jr. was called into the presence of our Lord Jesus Christ on August 19, 1975. Mr. Horner was born in Wilmington, Delaware in 1918. Under the ministry of Dr. Harold S. Laird he confessed Christ as his Savior and gave his life to the preaching of the Gospel. 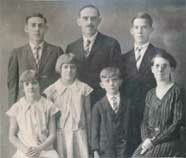 In 1936 he joined in the formation of the First Independent Church of Wilmington, Delaware. He received his B.A. degree from the University of Delaware in 1940 and his B.D. and STM degrees from Faith Theological Seminary in 1943 and 1945 respectively. His first pastorate was that of the Bible Presbyterian Church of West Philadelphia where he served for 7 and 1/2 years. In 1950 his home congregation back in Wilmington—later to be called the Faith Presbyterian Church—called him to be their pastor. He served that congregation for 15 years before accepting the call of Covenant Presbyterian Church of Lakeland, Florida in 1965. In 1971 he was called to be the pastor of Covenant Presbyterian Church of Cherry Hill, New Jersey, which he served until his death. Throughout his ministerial life Mr. Horner was active in the affairs of the denomination of which he was a part. 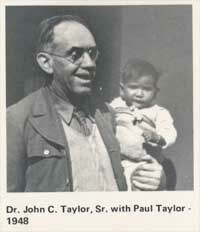 He was for 18 years a very faithful and active member of the Board of Directors of World Presbyterian Missions. For 12 years of this time he served as an officer or member of the Executive Committee. The numerous terms of service to which he was elected by his colleagues in the General Synod, or on the Board, were in recognition of his enduring keen interest in foreign missions and the vigor and enthusiasm with which he pursued his responsibilities. Mr. Horner was also deeply concerned for the work of Christian education. He served for many years as a member and as an officer of the Board of Christian Training, Inc. (CTI). He was in large measure responsible for the church Leadership Training Series published by CTI. He was the author of The Biblical Basis of Infant Baptism and of Biblical Church Government, both of which were widely used in a number of Presbyterian denominations. Mr. Horner’s ecclesiastical statesmanship was especially manifest in his service on Synod’s Fraternal Relations Committee for several years prior to his death. His understanding of church law and his wisdom in applying it were especially manifest in his service on the Judicial Commission, part of the time as its Chairman. His burden for the lost, and concern that the Reformed Presbyterian Church, Evangelical Synod as a whole should become more aggressively evangelistic was manifest in his own pastoral ministry, and in his service on the Evangelism Committee of Synod. In 1957 the 21st General Synod of the Evangelical Presbyterian Church expressed its gratitude for service already rendered to the church, and its confidence in his leadership abilities, by electing him its Moderator. What follows is admittedly lengthy. It is the second half of a funeral sermon delivered by the Rev. David Steele, pastor of the Fourth Reformed Presbyterian Church, Philadelphia. This is the biographical section of the sermon, and given that today is Saturday, we trust you will find time to read and profit from this. There is a great deal of history bound up with this account, plus it is a fine example of this aspect of a funeral sermon. Both McLeod and Steele were members of the Reformed Presbyterian Church, General Synod, which tradition eventually comes into the PCA in 1982 by way of the Reformed Presbyterian Church, Evangelical Synod. The Reverend John Niel McLeod, Doctor in Divinity, Pastor of the First Reformed Presbyterian Church, New York, and Professor of Doc­trinal Theology in the Theological Seminary of the Reformed Presbyterian Church, in North America, was born in the City of New York, on the eleventh day of October, 1806. He died on the twenty-seventh day of April, 1874, in the sixty-eighth year of his age and the forty-sixth year of his ministry. On the first day of May, 1874, by the hands of loving and Christian friends, his remains were consigned to the grave in Hill Girt Lawn, one of the most beautiful spots in Greenwood Cemetery, Long Island, New York. Here reposes the dust of his distinguished father, the late Dr. Alexander McLeod, whose shining talents and masterly eloquence adorned the Reformed Presbyterian Church during the first quarter of the present century. Early in the morning a number of ministerial and other friends assembled in the house of the deceased, when the solemn occasion was improved by fervent and appropriate prayer. The House of God, into which the honored dead was subse­quently brought, previous to interment, was filled to its utmost capacity by a congregation composed of persons of diversified professions and of different Christian denominations. All were bowed with sincere and reverent feelings, as solemn words were spoken and the throne of grace was addressed. A large part of the assembled multi­tude accompanied the funeral procession, and bedewed with tears of affection and grief the spot where the mortal remains were laid. It was the season of spring. Through the rifted cloud and retiring winter the king of day was making himself felt by his warming rays. Here and there a flower was seen opening its petals, and giving promise of the coming summer. The blades of grass were shooting forth from amid the decay and debris of former life. The tuneful bird at intervals uttered a stray note, re­minding the attentive listeners that the death and muteness of winter were gone, and that in a short time, the bloom and beauty of nature would ensue. As we retired from the last resting-place of our dear friend, sad, lonely, and filled with unutter­able emotions, everything around seemed to whisper “ Thy brother shall live again,” and the words of the prophet, “ Awake and sing, ye that dwell in the dust,” fell like music on the grief- stricken heart. Dr. McLeod, together with Drs. Wilson and Clarke, may be said to have formed a connecting link between that “ honorable triumvirate,” as they have been called, — Alexander McLeod, John Black, Samuel Brown Wylie,— and the Reformed Presbyterian Church of the present day. At the feet of these distinguished masters in Israel he had sat. From their lips he had caught the animating sen­timents which imbued his soul with love for the system of faith so dear to his heart. Around “the Church which they loved, for which they labored, from which no honors elsewhere offered could en­tice them, and which they literally” “set above their chiefest joy,” his affections clustered, and the triumph of her principles one day on the earth, he confidently anticipated. These illustrious fathers have all been removed from earth to their home in heaven. They have exchanged labor for rest, conflict for triumph, re­proach for glory, and the Church visible and militant for the Church invisible and triumphant. And oh, how the soul yearns to feel their rap­ture, to bathe in their bliss, to enjoy their com­munion, and to participate in their celestial fellow­ship ! I. His characteristics as a man. For Dr. McLeod, nature had done much. He was about medium height, symmetrically formed, and in person and in mien fitted to secure influ­ence and command respect. His face was lighted up with intelligence, while every feature indicated thought and was suggestive of something excel­lent. In manner he was dignified, courteous, concili­atory, and eminently social, when in company with those in whom he could confide. His mental characteristics were strongly marked. Earnest in his convictions, deeply conscious of his own integrity of purpose, he was ever fearless in his defence of what he esteemed to be the truth, and constantly ready to discharge whatever service he felt himself called upon in the providence of God to perform. In conversation he was particularly happy, in­teresting, and instructive. His large stores of knowledge, intimate acquaintance with men and books, correct diction, and love to communicate information, supplied him with resources, which, on suitable occasions, he could turn to advantage, to the gratification and profit of those who were so fortunate as to be in his society. His house was the abode of cheerfulness, hospitality, and genuine friendship, and in his domestic economy he was regular and unostentatious. Called upon frequently to leave his home in the service of the church, he was nevertheless fondly attached to it, and to every one of its members, from the infant orphanage to the part­ner of his life. For the spiritual as well as tem­poral prosperity of his family he labored, and frequent references to the health of its members in his correspondence showed how near it was to his heart, and how his affections clustered around it whether at home or abroad. At the close of a week of severe labor in the seminary, often has he journeyed homeward in order that he might spend the Sabbath in his own congregation and among the members of his own family, and then return to Philadelphia on Monday to resume instruction in the class-room. The death of such a husband and father is enough to prostrate any family. His sympathy with suffering was lively, and his benevolent acting took a wide range, from the bereaved relative to the immigrant stranger landing upon the shores of our country. In times of stagnation in trade, when numbers were suffer­ing from poverty, he took delight in becoming the projector and almoner of charities which have gladdened the hearts of thousands and evoked thanksgivings unseen and unrecognized by any but God. The poor have lost one of their best friends, and benevolence one of its most active and self-denying agents. Dr. McLeod was a patriot; he loved the coun­try of his birth. Thoroughly American in all his feelings, he labored in his individual and ecclesi­astical capacity to elevate and ennoble Columbia in the scale of nationality. He raised his voice against oppression, and when the “irrepressible conflict” was precipitated, his whole soul was stirred to its depths in desire to suppress rebel­lion and uphold constitutional authority. He was one of the organizers of the 84th regi­ment N. G. S. N. Y., commanded by Colonel Fred. A. Conkling. For a period of seven years he acted as chaplain, serving two campaigns with the regiment in the field. Although intensely American in all his instincts, yet, being of immediate Scotch descent, his father, Dr. Alexander McLeod, having emigrated to this country from Mull, Argyleshire, Scotland, he was warmly attached to Scotland and to Scotsmen. This attachment, as well as other circumstances, no doubt induced him to make no less than four visits to the land of martyrs, and of his father’s sepulchres. In 1869 his tour through the High­lands was very extended; and being versed in the traditions and literature of the Gaelic language, his last journey afforded him great delight. Often have we heard him become enthusiastic in his descriptions of the noble men with whom he met in Scotland, and in its neighboring province, the North of Ireland. II. In his public relations. These were numerous and exceedingly varied. From his youth he had been devoted to the pur­suit of literature. His preparatory studies, previ­ous to entering college, were pursued under the direction of the late Rev. S. B. Wylie, D.D., to whom so many in the learned professions, espe­cially in and around Philadelphia, are indebted for their acquaintance with ancient classic literature. In 1826 he graduated from Columbia College, New York, with distinction. Having had the ministry in view from an early age, after leaving college he entered the Theological Seminary of the Reformed Presbyterian Church, then located in the City of Philadelphia. But from his boy­hood he had been a student of theology. Like his esteemed father, he had received much of his divinity in the nursery, and in the social prayer-meetings of the Reformed Presbyterian Church. With philosophy and science in all their ramifi­cations and subtleties, the subject of our memoir was remarkably familiar. His reading was exten­sive, and he never allowed himself to fall behind in an acquaintance with the latest discoveries and most advanced opinions in relation to every sub­ject of interest. He was well acquainted with the stores of knowledge embodied in the Greek and Roman tongues. He was an excellent Orien­talist, and until the last devoted himself to the study of the Celtic and modern languages. His acquisitions in every department of literature were made subsidiary to the knowledge of Divine truth. His conceptions of inspiration were lofty and de­vout. And while he viewed the Hebrew as the parent stock of all the spoken and unspoken dia­lects, he felt that the Bible was for man, and that its inspiration could not be lost in a faithful translation into any of the languages of human kind. Hence, the deep and absorbing interest which he took in everything pertaining to the circulation of the Holy Scriptures. In the pos­session of such furniture, it is not surprising that he should be successful as a minister of the Gospel. After a short period of probation, subsequent to licensure, he was called to the Reformed Presby­terian Church of Galway, Saratoga County, State of New York. In this congregation he was ordained and installed in the year 1829. On the fifteenth of April, 1830, he was united in marriage to Miss Margaret T. Wylie, eldest daughter of the Rev. S. B. Wylie, D.D., of Philadelphia. The health of his father becoming somewhat impaired, he was called from his field of labor in Galway by the First Reformed Presbyterian congregation of New York City. This call he accepted, and on the fourteenth of January, 1833, he was installed as assistant pastor and successor to his father. The relation established between him and the con­gregation of New York continued until his death, a period of more than forty years. To sum up all the good that has been done to the souls of men by this servant of Christ during these years is be­yond the power of human computation. The aged who have ripened for heaven, those in the prime of life who have been strengthened to over­come the world, the youth who have been encour­aged to lay hold on Christ, and the careless who have been warned of their danger under this ministry, can testify to the fidelity of him whose memory we aim to honor, and whose voice we can hear no more on earth. As an appreciation of his scholarship and Bib­lical research the degree of Doctor of Divinity was conferred upon him by Dickinson College in the year 1846. This honor is seldom conferred on one so worthy of distinction. 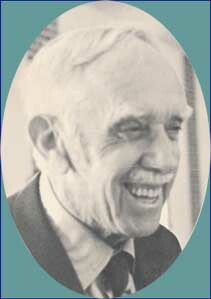 The material of Dr. McLeod’s discourses was the marrow of the Gospel, announced with the accuracy of the scholar, the grace and ease of the accomplished orator, and the unction and applica­tion of one deeply imbued with the love of God and earnestly concerned for the welfare of the souls of men. His preaching was didactic and expository, and he was peculiarly happy in avail­ing himself of occasions and events to arrest atten­tion and press home truth upon the conscience. His views of the two covenants, the mediatorial throne, the Church, and the ultimate triumph of religion on the earth through her instrumentality, were singularly clear, comprehensive, and satisfy­ing. And at times, in speaking upon these themes, he would become so deeply moved and absorbed with their grandeur, in relation to the two eternities, that the most inattentive listener could not fail to perceive that the Holy Ghost had come down upon his servant with more than ordinary fulness and power. Nor did he ever fail to assert and illustrate the paramount obligation of the law of God revealed in the Scriptures, over man in all his relations, pursuits, and circumstances. As a Theological Professor, our esteemed broth­er excelled. It was, we believe, in the Theologi­cal Seminary that Dr. McLeod’s gifts shone with peculiar lustre. Here he brought forth the results of the study of more than half a century. Here he gathered his pupils around him, as a family, and addressed them as a father. Here, while charitable to others, he labored to communicate to the students under his care some of his own glow of ecclesiastical patriotism, as he expounded and illustrated the system of faith solemnly adopted by the department of the church of God with which he was associated. His sympathies stretch­ing out as widely as humanity, and his researches embracing the whole range of useful and instruct­ive literature, were all brought, as it were, to a focus in the school of the prophets. With an accuracy rarely equalled, and a diction pure and classic as the rarest literary gems of ancient or of modern times, he laid before those waiting upon his prelections the sum of theology, invariably and ever making all his teaching centre in, and radiate from, glory to the mediatorial throne. He loved the school of the prophets, and was willing to make any and every sacrifice for its success. In the councils of the church Dr. McLeod was an able and judicious adviser, and upon the floor of a church judicatory few men were his superiors. For twenty-five years he acted as Stated Clerk of General Synod, and with every detail in the order of judicial proceeding he had become perfectly familiar. His recollection of precedents was re­markably accurate ; and when the business of the court of which he was member would some­times become entangled, he could always indicate the way to consistent deliverance from difficulty. In his affections the union of the Church of Christ had a large place. He deplored the divi­sions of Zion, prayed for her peace, and labored and longed for the day when the watchman shall see eye to eye. In the year 1858 the subject of this memoir was appointed on the Standing Committee on Versions of the American Bible Society, of which, after the resignation of Rev. Dr. Gardner Spring, in 1864, he was elected chairman. In this position he was highly valued by his associates for his good judgment, kind spirit, sound scholarship, and great promptness and fidelity. And at a meeting of the Board of Managers of the American Bible Society, held May 6, 1874, a minute was adopted expressive of regard for their esteemed associate. At an early period of its history he was con­nected with the Evangelical Alliance, and attended as a delegate its meeting in Paris in the year 1855. At the monthly meeting of the Executive Committee of the Evangelical Alliance of the United States, held- April 27, 1874, a resolution of respect was passed. For thirty-eight years he acted as chaplain of the St. Andrew’s Society of the State of New York. We pass on to notice briefly the religious life of our departed brother, particularly in its close. And here it may be noted that his religious ex­periences were singularly unobtrusive. They took the form of the deep and quiet river, moving majesti­cally onward to the ocean, rather than that of the noisy cataract, which, notwithstanding its tem­porary din, is frequently lost in a short distance from the spot where it was first caught by the eye of the observer. Their reality and value must be judged more from their untiring and beneficent activity than from personal expression by words. In his infancy he was dedicated to God. He grew up under the fostering care of a godly and distinguished parentage. He enjoyed the privilege of hearing the Gospel regularly from the lips of his illustrious father, while at the same time in the family and in the fellowship meeting, he was brought constantly into contact with doc­trinal and practical truth by catechising and other forms of instruction, still common in Reformed Presbyterian families. Head and heart received their appropriate culture. Under such influences, accompanied by the blessing of the Spirit, he was early led to make a profession of his faith in the Lord Jesus Christ and to devote himself to the ministry of the Gospel. Our personal recollec­tions of him extend over a period of nearly twenty years. When we first saw him he was in the vigor of manhood, and his appearance as a man and a minister of Christ made an impression on us which no lapse of time can efface. But it was more particularly within the last fifteen years that we were brought into contact with his ripe schol­arship, profound acquaintance with the mysteries of the kingdom of God, rich Christian experi­ence, and unwavering trust in God. In his youth he had been mercifully delivered from the temp­tations which are so prevalent in a large city like New York. As he approached the close of his earthly sojourn, the bloom of youthful piety devel­oped into the clusters of religious manhood, and his heavenward thought and conversation more and more conspicuously lighted up the entire background of a life devoted exclusively to the service of the Master. In the August of 1873, when in the act of moving from his own church door, he met with an accident, by which he sustained the fracture of an arm. Nothing could surpass the patience with which he bore up under this dispensation; and when it was feared that he would be unable to be in his place at the opening of the services of the Theological Seminary, to the surprise and pleas­ure of all interested, he was forward at the ap­pointed time. Although suffering from the pain of his arm, all his duties in the seminary were regularly and punctually performed. The prayer with which he concluded his last meeting with the class was noticeably fervent and affecting. His pleadings with God deepened and intensified, as his soul, burdened with concern for the Church and her students of theology, labored to bring down the Divine blessing upon the work of the session. He never met with the class again. pic­ture of Dr. Andrew Black he always kept before him in his study. A short time previous to his death he had cut out a small picture of himself, and placed it beside that of his dear friend. In a corner of his study hung a picture of the church. In connection with this he had arranged a small vignette of himself also, while in another part of the room was a piece of rock bracket with a small copy of the Bible resting upon it. These were symbolical acts, very like those of the prophets of old. They speak of heaven, of the communion of saints, of attachment to the Church, of the Bible as enduring as the rock, and of the grand meeting of the people of God in the house not made with hands. He continued at his post until his death. On the nineteenth of April the Lord’s Supper was dispensed to the people under his pastoral care, and he was in his place. On the day of humilia­tion he preached, and he conducted the whole oi the preparatory services on the Sabbath, explain­ing the Psalm and preaching the action sermon from the words, “Thanks be unto God for His un­speakable gift.” With remarkable animation he addressed the communicants at the first and last tables. On this occasion his descriptions of heaven, and the meeting of its redeemed inhabi­tants to part no more, were peculiarly sublime and impressive. These duties were exhausting, and on Monday he was unable to attend to the closing exercises of the solemnity. In the even­ing, while ascending the stairs of his own house, he became exhausted, and sinking down he ex­claimed, “ My work is done.” On the following Sabbath a consultation of physicians was held, but no alarming symptoms were detected. During the night he rested comparatively well; but in the morning, as he arose, he was seized with pain in the region of the heart. While Mrs. McLeod was engaged in preparing breakfast for him, and his youngest son was in the act of applying friction to his back, his head dropped upon his bosom, and as he lay back upon his pillow, the long expira­tion was the only indication that the spirit had taken its flight to the world above. The imme­diate cause of his death was paralysis of the heart. It was just such a release as he desired. This would appear from a scrap of paper, which was subsequently found containing words in his hand­writing to the following effect: “ Erasmus declared sudden death one of the greatest blessings a human creature could receive.” The departure of our beloved friend from earth was more like a translation than death. He died in the Lord, and his works follow him. But oh, how much the Church has lost, and how much we all miss him ! Well, indeed, may his family mourn; they have lost a father and head, whose affection for them was deep and constant. Well may the Church mourn; she has been de­prived of one whose whole life was offered up on her behalf. Well may society mourn ; they have been bereaved of a benefactor, and of one who, as a prince in Israel, had power with God. But we do not mourn as those who have no hope. Our beloved brother sleeps in Jesus. His spirit is before the throne of God. To use his own language in reference to another servant of God, who had been removed by death, “He is gone to better company, to higher employments, to the sinless, painless, deathless state of immor­tality. His work was done, his crown prepared. Another mansion in the Father’s house is filled; another seat beside the throne is occupied; another harp is seized and struck in harmony with those of David, Paul, and all the other older sons of glory.” His body is on earth, but the Church’s dead shall live, and in body and in soul they shall be introduced into the bliss of the celestial city. “Such honor is to all His saints.” Praise ye the Lord. During the past year an unusual number of distinguished men, both in church and in state, have fallen. Let us hear the voice of God in these providences. “Be ye therefore also ready, for at such an hour as ye think not the Son of man cometh”; and when pillars in the church visible are being removed, let us remember that the bride, the Lamb’s wife, is safe. Her origin is divine; her charter is the everlasting covenant; her foundation is the Rock of Ages. The eternal God is her refuge, and beneath her are the ever­lasting arms. To continue her in being, and to supply her with a succession of sanctified mem­bers and divinely qualified ministers, the Holy Ghost is poured out, and the earth is preserved as a theatre, upon which her missionary operations are to be conducted and her triumphs secured. As a consequence, however death may thin her ranks, she is immortal until her work is done. He helped form the Presbyterian Church of America in June of 1936, which then changed its name to the Orthodox Presbyterian Church. In the of 1937 he was a leader in the group which became the Bible Presbyterian Church and later changed its name to the Evangelical Presbyterian Church. In all of this trying and developing experience of the church his leadership was evident and greatly respected. 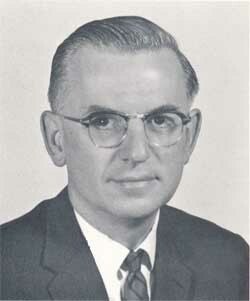 He served on the Fraternal Relations Committee used to bring about the union of the Reformed Presbyterian Church in North America and the Evangelical Presbyterian Church in 1965. This resulted in the formation of the Reformed Presbyterian Church, Evangelical Synod.